Facebook is a social empire, and it becomes very apparent — we’re experiencing the biggest success in social networking, the game changer for social media. Nowadays, almost no one could imagine their life — both personal and professional — without Facebook in it. Although Facebook may be developed and successful enough, there is still room for improvement. And Facebook makes the most of it by consistently implementing new changes and releasing updates. What reasons are there for still changing Facebook? They can feel their competition breathing down their back — especially Snapchat, which they tried to buy in 2013 (and now they want to beat with some changes you’ll find below)! Everything around them is developing, so they can’t rely on the ‘status quo’ all the time. This particular social media platform doesn’t stop growing — they are still gaining more active users month-by-month. Users are demanding and expecting more. They need to take care of business on Facebook, so changes are made for the benefit of advertising, targeting, and promoting. They still need to look for some more methods of monetization, as almost every business does. Facebook’s founder and team could get complacent after achieving such success, but… they apparently don’t want to as Mark Zuckerberg’s vision is to connect the world. But another reason could just be their desire to rule the social media world and make us all use only Facebook. For everything. 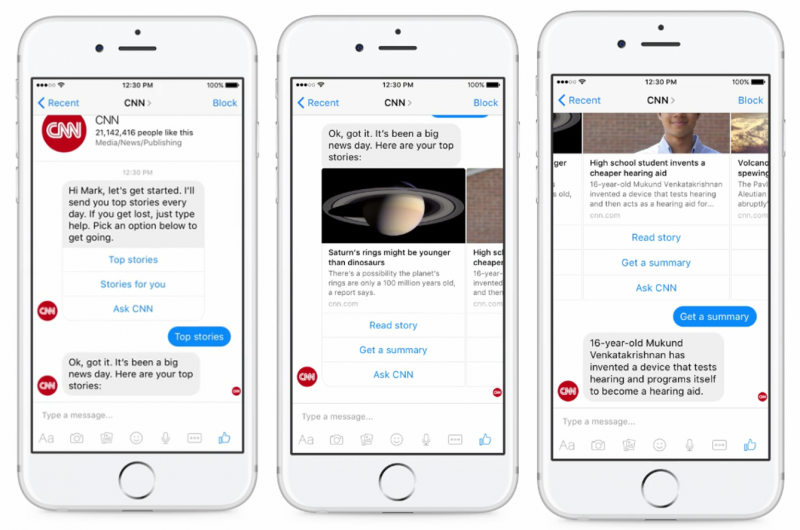 Facebook has changed in many areas — both for brands and users, but also within Messenger’s features. Some of the changes have been applied only to users in specific countries, some are still tested, so it is easy to lose track and become confused. We prepared a list with short descriptions of the most crucial changes to Facebook in 2016 in our opinion. 1.The new layout for Facebook Pages offers more opportunities for tabs to be visible (and clickable, finally!). It gives brands more motivation to update them with some essential information — even if you scroll through the page, they are still visible in the left-hand column, so it’s a waste to leave them un-updated. Also, the cover photo and avatar positions have changed — so the whole cover photo is now visible, no longer hiding behind the avatar. TIP! You can use external apps for your tabs — try Click Apps or Tabfoundry to add some interactive content, photos and modules like newsletter or contest. Also, check if your cover photo still fits — maybe it’s high time to resize it? TIP! Try to make a campaign focused on Page Post Engagement to get a few likes from people potentially interested in your content. Then, use the mentioned option and invite them to like your Page. 3. Facebook is improving their advertising options all the time, trying to stay above the competition. They updated both campaign objectives andplacements for paid promotion. A new campaign objective, “Increase Brand Awareness”, combines both reach and attention and helps you find your most reactive audience. When it comes to placements, Facebook is testing Messenger (redirecting users straight to Messenger to ‘talk’ to the brand about the offer) and Groups for putting adverts here. News Feed may be seen as a bit overcrowded with adverts, so this step didn’t come as a surprise. Also, Canvas is a great and interesting advertising option, but it works on mobile only. TIP! If you have a lot of great visual content, some spare time, and your target group is mobile-focused, try to create Canvas ads. They look fresh, new, modern and may bring you some good effects. 4. “Where are my Page likes?” — said every Social Media Manager some time ago. Likes just disappeared and were not visible on the main page. Although they now are disappearing and reappearing again, on and off, this may show you what direction Facebook is going — instead of promoting pages, they want brands to focus on paid content distribution. TIP! Facebook likes may be gone sooner or later, so you shouldn’t be focused only on reaching next numbers of followers. Instead of this, put your focus into quality and engagement. 5. Facebook Live is one of the most important features for brands on Facebook that was introduced this year. Increasingly more and more brands are making the most of the opportunity of communicating with their fans this way — and fans truly love it! Facebook is now testing another thing connected to live video — soon brands will be able to SCHEDULE it! Gathering people for webinars, concerts, conferences, or Q&A sessions is going to be a piece of cake — and all webinar tools will tremble with fear. But there is still some room for improvements on this matter. In the beginning of November, some brands started using real-time counters for reactions to cause a massive and crazy amount of engagement. TIP! Think about ways of applying Live video to your brand appearance on Facebook. Maybe you should show your audience one day of your brand’s life, or a few mins from a great event you take part in? 6. A few new options for brands appeared in Messenger — e.g. Messenger Greetings, which allows brands to introduce themselves a bit before users type their messages. And there’s Bots, which are being successfully implemented by more and more brands, giving the impression that users are talking to real people on the other end. You’ll find some great examples of bots here -> http://www.messengerchatbots.com/. TIP! If you don’t feel like implementing Bot yet, you can try to play with Messaging settings instead. They allow you to set up your personalized Response Assistant, Messenger Greeting and Instant replies. 7. 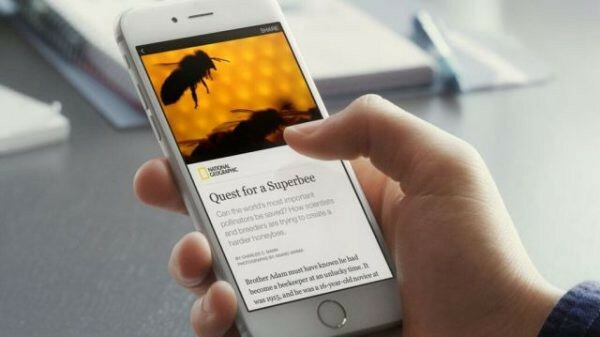 Instant articles are game-changers, and not only for news publishers. Users no longer have to leave an app to get familiar with content — now it can be kept inside Facebook. Your newsfeed is now more relative-focused than brand-focused as the algorithm continues to change. Newsfeed suggests content (from your friends) that you may have missed when you weren’t browsing Facebook. It’s also noticeable on your profile, in the ‘friends’ column. Facebook Reactions were regarded as a game-changer when released in February 2016 (previously tested in Ireland and Spain). Replacing “like” with a couple of other buttons have been warmly welcomed by media, brands, and users, having gotten quite popular since then. Marketplace is one of the newest updates to Facebook — and it clearly reflects Facebook’s strategy about ruling more than just social media, but the Internet in general — by gently ‘eliminating’ all advertising websites and moving their users to Facebook. Marketplace can be seen as competition for Gumtree, OLX, or Craigslist — allowing users to buy, sell, and swap things in their local community. 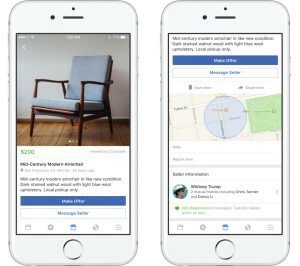 Although it has been stopped recently due to the high volume of illegal listings, Facebook is working on solving this problem ASAP. Marketplace ‘replaced’ the position of Messenger in iOS app, moving Messenger to the top left corner and showing how big of a gamechanger Marketplace could be. Over 100 million people use Facebook Events daily, and Facebook just released “Events from Facebook” — an app dedicated to following and recommending events. Just implemented — a special unified inbox for Facebook, Instagram, and Messenger, allowing pages and brands to have all messages in one place. This comes as a blessing to big brands that struggled with using multiple apps and jumping from one to another. One inbox will be a significant improvement for their communication. Facebook Workplace is a useful novelty, especially for companies who want to run a professional brand manager on Facebook. This improvement allows them to use Facebook not only to communicate in an ‘unofficial’ way or only for private purposes, but also for work. It may replace e.g. Slack, offering features including live videos, groups, and combining a few companies into a specific project or simplifying the management of your community and reporting your effects. The brand new News Feed layout, with a division into categories such as Travel and Relationships. Finally your News Feed won’t be as messy as it used to be, and maybe Facebook, by testing it, hopes that you won’t miss any important updates. Including ads, obviously. Messenger Day — the change that sparked a controversial discussion on how far Facebook can go with copying Snapchat’s features (the first part of that discussion was held when Instagram Stories were released). The only users spoiled with this feature were those in Poland initially, and now users in Australia as well. It simply gives you the possibility to make your own story and publish it on Messenger. What differs it from Snapchat is Stickers instead of Lenses, and the possibility to hide your story from selected users. Messenger was not the best friend for your phone’s battery, making it run out pretty quickly — even when Messenger was turned on only in the background. The solution is Messenger Lite — a light version of Messenger that is perfect for older devices and for regions with lower connectivity, including Kenya, Tunisia, Malaysia, Sri Lanka or Venezuela, with more countries to come. The most important thing is that the app keeps all of Messenger’s features while being less than 10MB in size. Another changes for messenger include customizing colours, ‘main emoji,’ and nicknames in the app. Now your ‘darling’ can really be your ‘Darling,’ your main emoji doesn’t have to be the default thumb, and you don’t need to exchange blue messages. These are small changes, but definitely enjoyable for many users. Message Requests — Very important and useful if you use Facebook both for personal and professional purposes. It ‘hides’ messages from people out of your circle and may cut off some offers of cooperation, for instance. It has never been easy to find on the desktop version, but Messenger didn’t show them at all. Now this feature is readily applied, so you can react to them anytime you want. Starting a chat was supposed* to be made easier by scanning your own “Scan Code” given by Facebook. You can start some “secret conversations” in Messenger’s mobile app — which is a secret also to Facebook, and you can set a timer to have your message disappear. They also won’t be visible on Facebook chat. Messenger also just introduced payments via the app. Now users are able to pay in Messenger without being sent to an external website, and they can do it while talking to one of more of 30,000 Messenger bots. Currently only PayPal is used, but implementing other payment methods seems to be probably just a matter of time. You may like these changes or not, but there’s one thing you can be sure of — that Facebook hasn’t gotten complacent. Some of them are easily noticeable, others you may find annoying or unnecessary, but testing things is always educational and helps you pitch your activity more successfully. Mark Zuckerberg knows it well. The plan seems to be simple — make Facebook the only thing you use on the Internet. No more marketplaces, no more searching for flights, no more buying groceries on other websites. Soon, Facebook & Messenger will be enough. And this ‘soon’ may be sooner than you think. 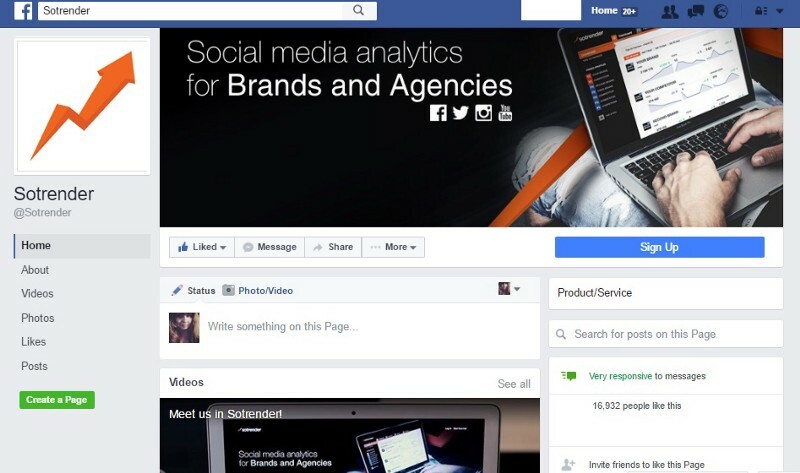 Sign up for a free trial of Sotrender, visit our blog or follow us on Facebook and Twitter! Originally published at blog.sotrender.com on November 18, 2016.